You are here: Home / Blog / What does it mean to be a Mountaineers leader? 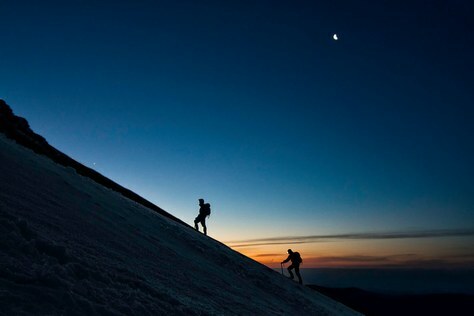 What does it mean to be a Mountaineers leader? Volunteer leaders are the lifeblood of The Mountaineers - they teach courses, lead trips, and generally fulfill every aspect of our mission! Learn more about the characteristics of a Mountaineers leader, as well as this group’s unique privileges and responsibilities. The Mountaineers puts a large emphasis on the importance of leadership, and we encourage our members to become an activity leader and join our vibrant volunteer community. But what does it really mean to be a leader for The Mountaineers, and what is expected of these individuals? This article was updated in April 2018. Believe in The Mountaineers mission to help people explore, conserve, learn about, and enjoy the lands and waters of the Pacific Northwest and beyond. If you are interested to become a leader, please submit a leader application or contact your Activity Committee Chair for more information about their committee’s specific prerequisites! What are our leaders responsibilities and benefits? Post trips, clinics and seminars, and events - including stewardship activities! View feedback from your participants through your profile page. Write blogs for our website. Review member Participation Notes, to use when Screening Participants for your trips. Opt into our monthly LeaderLines email, which provides information, insights, and updates curated specifically for our volunteer leaders. Receive discounted attendance to our Leadership Conference, held annually during the first weekend in December! Access our exclusive Leader Benefits. For additional information - or if you have any questions - please visit the Leader Resources page of our website or contact Member Services. The Mountaineers sincerely appreciates the time and energy that our leaders invest into our organization. Our volunteer leaders are the backbone of our programs, and without them, we wouldn’t be able to serve a fraction of our membership. Thank you for all that you do to enrich our community at The Mountaineers! If there is anything we can do to improve your experience as a volunteer leader, please let us know. We are here to support all of the amazing things that you and your committees do for the organization!